Thank you for choosing to stay with The Fleet Hotel. 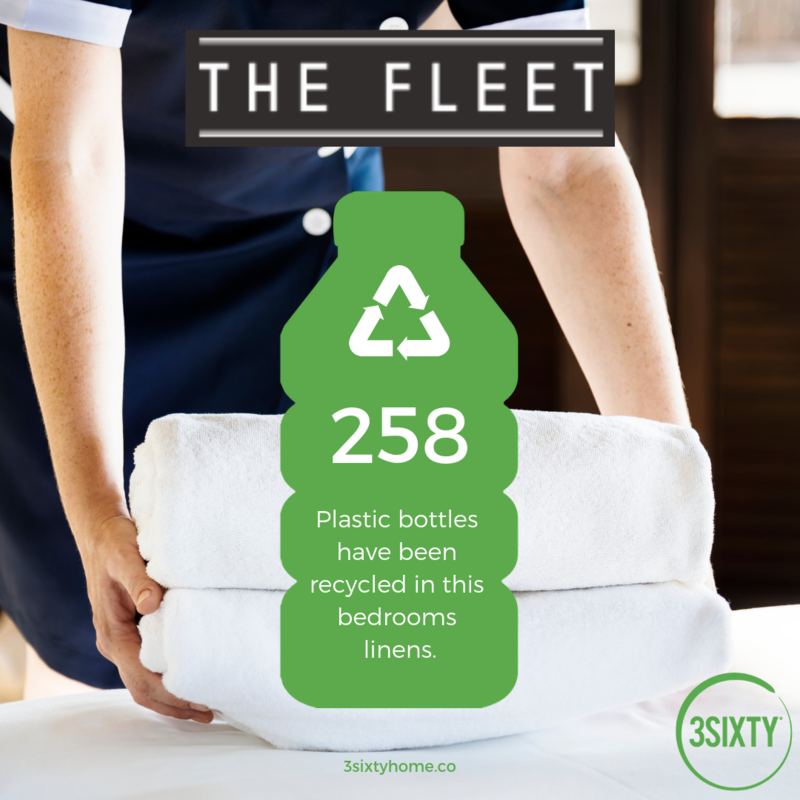 As part of our ongoing efforts to increase our sustainability goals we are proud to have in our rooms a new innovation in hotel linens…..bathroom and bedroom textiles made using recycled plastic bottles by our partner 3SIXTY. You can find out more about how these towels were made in the video below.